It’s interesting when people talk about trends (read: the future), they often don’t talk about the talents that will fill the future. People are often trapped into asking what past talents are thinking about the future, instead of digging how the new talents are envisioning the future they’ll undoubtedly occupy. It happens in social setting, politics, and fashion. For the past few years I try to remind myself that whenever I attend fashion weeks. 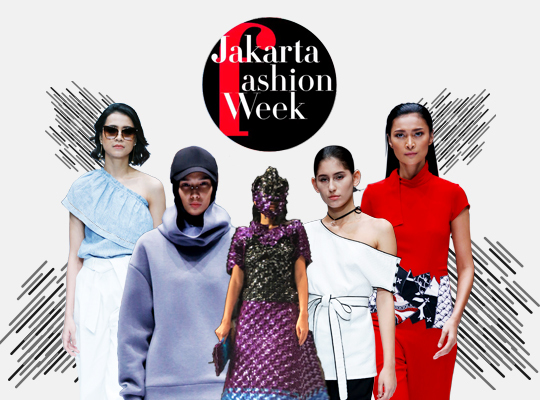 During Jakarta Fashion Week (JFW), the shows I’d consciously make time for are of Indonesia Fashion Forward (IFF)—the incubator of a handful of promising designers set up by JFW five years ago. The selected young designers are kept in the incubator for a year to receive various coaching in design and business. This year’s talents shown in JFW 2017 are Day and Night for quirky wear, Rani Hatta for modest/hijab fashion, Byo for accessories, plus Paulina Katarina and Bateeq for premium wear. All labels have been in the fashion business for over two years, with Byo and Paulina Katarina even got to the finals of CLEO Fashion Awards last year. So, how did they fare this year? Let’s start with the first two labels mentioned above. Though they cater to different target markets, there seems to be an aligned flow of breath coming out of both labels—carefree, clean-cut and current. Shying away from busy patterns, Day and Night featured monochromatic palettes in silhouettes that give wearer enough comfort for mobility without looking sloppy. Many of the pieces can be worn separately with different clothes and accessories to create a polished weekday ensemble or laidback weekend look, with the urban quirkiness feel remains. 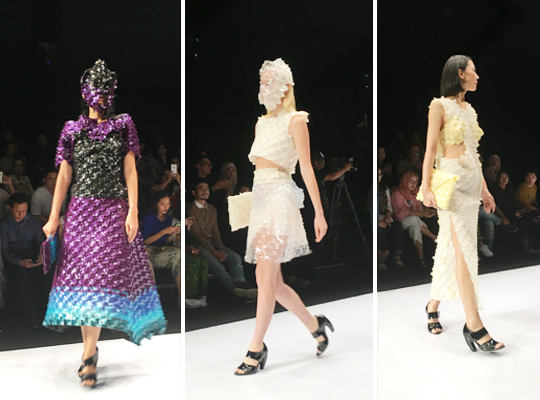 Rani Hatta’s collection gave out a similar vibe, with more structured shapes and androgynous undertone—something that the modest fashion segment needs more of in the sea of overflowing, overly-colored, 4-meter, tent-like shapes that have seemed to inundate the growing segment in recent years. Its sleek sensibility somehow remind me of a former IFF member and another modest label, Etu by Restu Anggraini, whose collections have consistently delivered a different, often corporate-appropriate option to the market (after all, many hijab-wearers do work in non-creative industries with more rigid dress code). 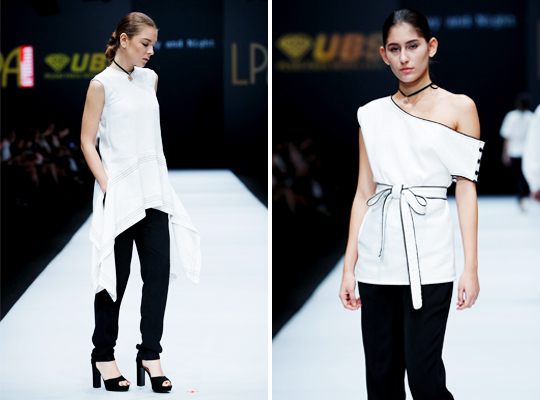 Paulina Katarina, a label started out in Bali by the German-Indonesian Kuhn sisters, was one of the finalists of CLEO Fashion Awards last year for Most Innovative Local Brand. They didn’t win, but their ability to juxtapose resort wear with urban chicness has since won my heart. 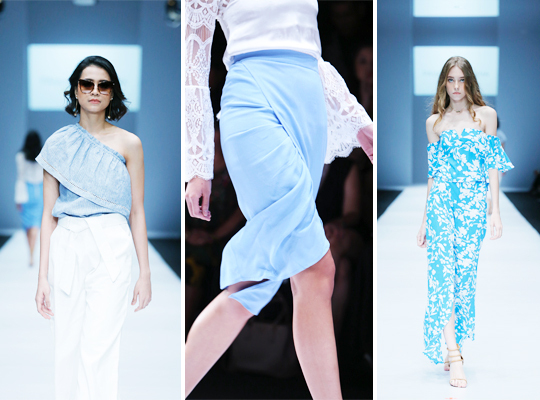 Taking the famed Amalfi coast as inspiration for Spring-Summer 2017, the crisp white-blue palette and simple flower motif are suitable even after city-slickers leave the yachts and resorts behind. I have hopes for this label to grow in the niche, yet potentially lucrative market. As I was leaving their booth on the Fashionlink, I did overhear two women approaching one of the sisters, introducing themselves as buyers from Singapore. Now I’d call that a good sign. Bateeq label, on the other hand, draws from many colors and the myriad of patterns that traditional batiks have featured for centuries, and twist them into modern shapes for practical wearing in the true sense of ready-to-wear concept. 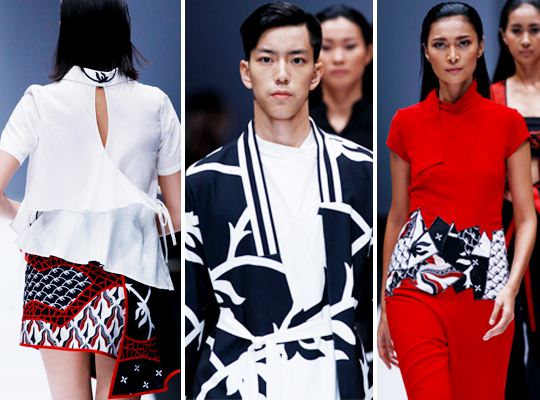 Its latest collection shown at JFW 2017 showed smarter designs and better compositions of black and white with a dash of red, the prevalent color popping on the catwalk last week. Perhaps to expand its design horizon, the label has collaborated for two years now with Japanese designer Suzuki Takayuki for a truly wonderful spring-summer capsule collection. It remains to be seen whether, on its own, Bateeq will fully live up to its hyped potentials. Last yet certainly not least is Byo, awarded as The Most Promising Accessories Brand by CLEO magazine last year. If you haven’t seen closely its renowned clutches by now, a must-have among fashion insiders, you really should. The neat weaving of the delicate plastic-like material looks edgy and unique, without feeling cheap. This year Byo tries its hand at clothing. While I always encourage development, I simultaneously support competitive-advantage-based specialization. 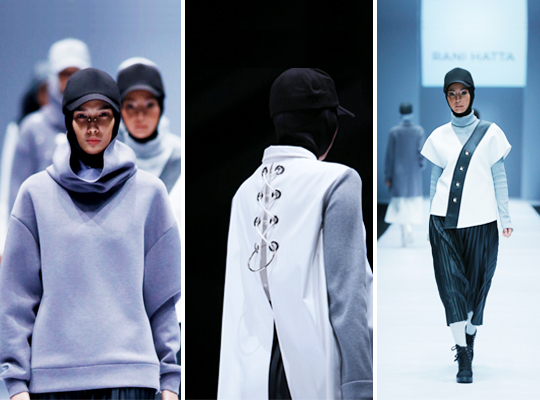 Not every accessories label should stretch horizontally into apparel, if it can grow vertically into the plethora of accessorizing items that also includes face masks—the latter which was already shown by Byo on JFW 2017’s runway to a better success than the apparel. Looking ahead into the future these new talents are. There are obvious rooms to grow, yet at the same time promises loom. One fashionable foot forward at a time.